★ Komodo, Other Milestone for PT Pindad? That was a name that given to PT Pindad latest 4×4 tactical vehicle. The President of Republic of Indonesia officially named this vehicle to the endemic animal from Indonesia at Indo Defence Expo and Forum, last November 2012. The President had a hope that the tactical vehicle could be strong and tough at any combat field and could bring the glory for Indonesia. If we looked back to the past, on October 26th 2011, President visited weaponry system exhibition at PT Indonesian Aerospace. He gave a challenge to Pindad Product Development Team to make a 4×4 tactical vehicle. The Special Vehicle Division technicians agreed and then the journey to create the tactical vehicle was officially started. The project was started at November 2011. The Product Development Team from Special Vehicle Division was busy designing the vehicle. They did the benchmarking by observing various design of similar tactical vehicles from many countries, such as Oskkosh which used by US Army, AMPV from Germany, Aravis and Sherpa from France, and many others. They also did the Reverse Engine process in order to know what kind of machine that suitable for this kind of vehicle. The designing process was ended at January 2012 with an outcome one design which chosen by the management and continued by the making of this vehicle prototype. The decision to make this kind of vehicle wasn’t without a solid reason. The making process was based on the direction of combat vehicle evolution at the future. The direction of combat vehicle changing will lead to size shrinkage of the vehicle. The combat vehicle won’t prioritize the gigantic size, but the smaller vehicle yet managed to move swiftly and survived at the combat field. Even though the size wasn’t as big as the other combat vehicle like Anoa Panser, the tactical vehicle still could manage to stay strong at combat field because the production process consistently paid attention to three things that should be noted at combat vehicle making process. First is mobility, the movement capability to avoid the enemy attack and also the capability to move at a difficult field. Second is survivability, the capability to survive from enemy attack by using the bulletproof body. And last is fire power, the power to attack the enemy, by shooting back at them. The outcome of the Product Development team of Special Vehicle Division designing process, was the good response from the defence industry circles. Since the vehicle prototype was joined in exhibitions, many parties were interested to the physical condition of the vehicle which is not that big, but still impressed strong and dashing. Even more, PT Pindad also gave an authority to the client to decide what kind of design which would be applied to Komodo, based on its function. After that, an offering and contract agreements were made. Until this time, some parties recorded had ordered Komodo. 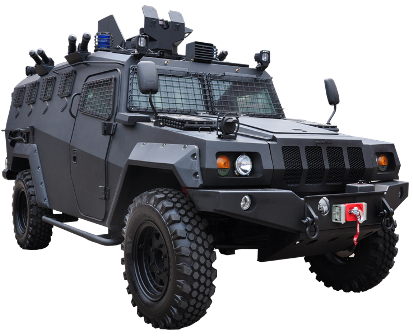 BRIMOB (Paramilitary Police Force) already ordered two units of Komodo which had customized into a “Jungle Warfare” tactical vehicle. This vehicle was especially designed for a city movement and chasing until jungle area. Different from BRIMOB, KOPASSUS (Indonesian Army Special Force) already ordered Komodo which had customized into a “Battering Ram” vehicle. 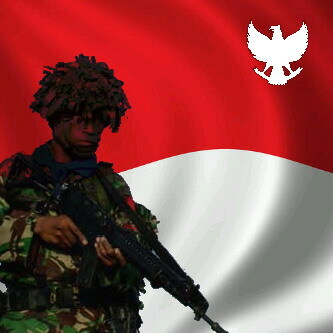 KOPASSUS has a unit which called Gultor (Penanggulangan Teror, Terror Countermeasures). This unit has a task to overcome all kind of terror, such as kidnapping, bomb threat, and many others. Hence, they need a vehicle which not only has a function as the movement equipment, but also as terror countermeasures tools, one of them is to destroy a building. The establishment of Law number 16 year 2012, which require that international cooperation should use a local content, also gave an advantage to PT Pindad and this Komodo project. Until now recorded some of potential buyers which came from international client and stated their interest to Komodo and still on cooperation assessment process. Suspension Right Axle; Front (Bushing Arm with Coil Spring), Rear (Trailing Arm with Coil Spring, Stabilizer Bar, Telescopic Shock Absorber.